Way of usage: Double handles with a removable and adjustable long shoulder strap（Length of shoulder strap is about 46"in）. Convenient and comfortable to wear in 3 ways:Tote, Shoulder and Cross Body. Fashion and simple. Suitable in any occasions such as working,dating,trevalling,shopping ect. Structure: Two main compartment pockets with 2 zipper pockets and 2 multifunctional pockets. Exterior back zipper pocket. Can make all items well organised and easy to put in and take items out. Dimension:13.5"* 6.3"* 9.4" in(L*W*H). 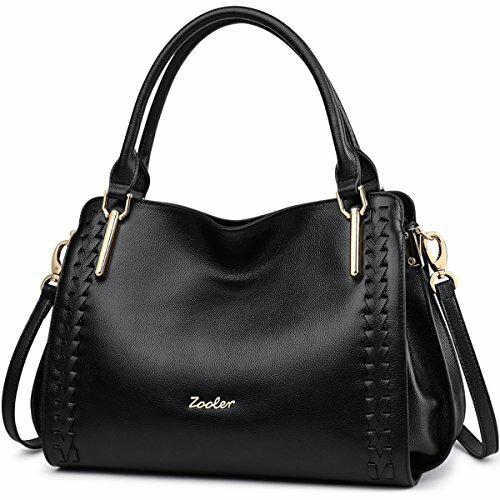 Large enough to carry cell phone, wallet, perfume,Umbrella and other Daily necessities. Net Weight: 1.9lb. If you have any questions about this product by ZOOLER, contact us by completing and submitting the form below. If you are looking for a specif part number, please include it with your message.